Ever since I’ve started being a blogger/vlogger– which is very recently- the name Ramusake kept popping as a restaurant I have to visit. I finally decided to see what the fuss is all about and I ended up having one of the greatest nights out in Dubai! 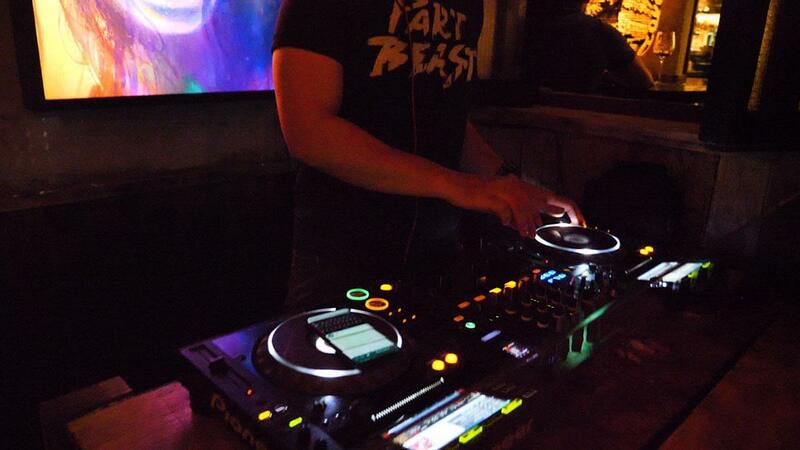 The restaurant is London brand owned and spearheaded by nightlife entrepreneur, Piers Adams. It is located in the Double Tree by Hilton JBR which is pretty far out from my comfort zone of Downtown Dubai. From the start I felt a sense of adventure trickling through. I expected to enter into a grand lobby area which is the norm when visiting high-end hotels in Dubai but ended up in an underground car park! 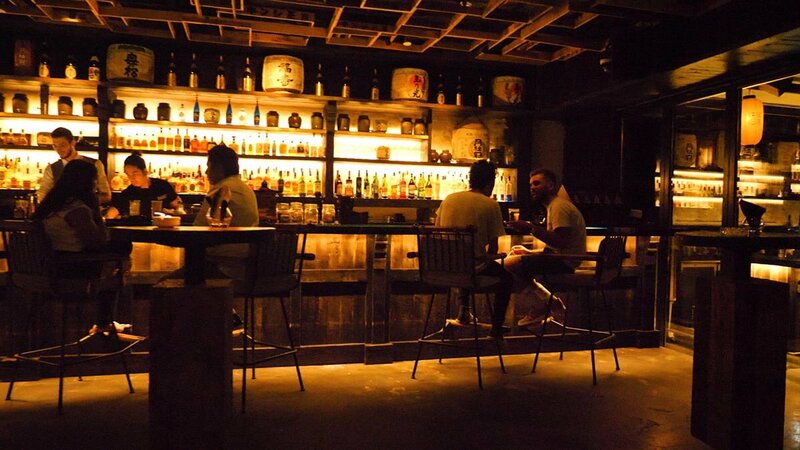 I think this adds to the vibe as that’s the way restaurants are like in Tokyo – hidden secrets waiting to be found. After three heavy nights of being out I didn’t think I would be enjoying the night as much as I usually do. But restaurant sommelier Vicky Dhooky had a magical solution to my problem– Sake! And guess what? It worked wonders! 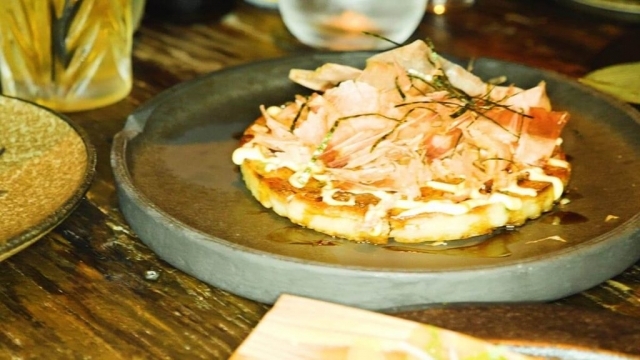 The food is served using a sharing style concept called ‘izakiya’ dining. They basically bring out the food as and when they are ready. I love this style of dining as I find it more sociable; since I was catching up with my newlywed friends whom I haven’t seen for a while it couldn’t be more perfect. For our starters we ordered the Taku Yaki Omlette (octopus, pickled ginger, unagi sauce), Steamed Prawn and Shitake Gyoza (chilli oil and ponzu) Spicy Tuna Roll (chilli garlic, tobiku, avocado, tempura flakes), Seared Salmon Roll (avocado, yuso miso, puffed rice) and the Spider Roll (soft shell crab, spicy mayo, takuan). Everything tasted exceptional, the gyoza melted in my mouth and the rolls were perfect. The only dish I wasn’t that fond of was the omelette; not sure but eggs for dinner isn’t really my thing (unless its in a ghoozi)! For mains we ordered the Steamed Sea Bass (chilli butter, yuzo miso, herb salad), Teriyaki Salmon (teriyaki glaze, pickled daikon) and Kinoko Rice (mushroom dashi, basil miso butter, ginger). I guess we were sticking with seafood for the night! The sea bass was my favorite dish of the night which I highly recommend. We finished it all off with the Mochi selection (berries, chocolate soil). This is the first time I ever had dessert in a Japanese restaurant because it’s so alien to me I never could decided on what to get. As I was there to review the food I thought I should be more adventurous. At first I found it strange – there’s like a sticky chewy outer layer filled with ice cream. I’m so glad we were told to order this as it quickly became my favorite Japanese dessert. I will now look out for this dish on every Japanese menu I see! Visiting a restaurant called Ramusake you cannot leave without trying out the sake on offer. 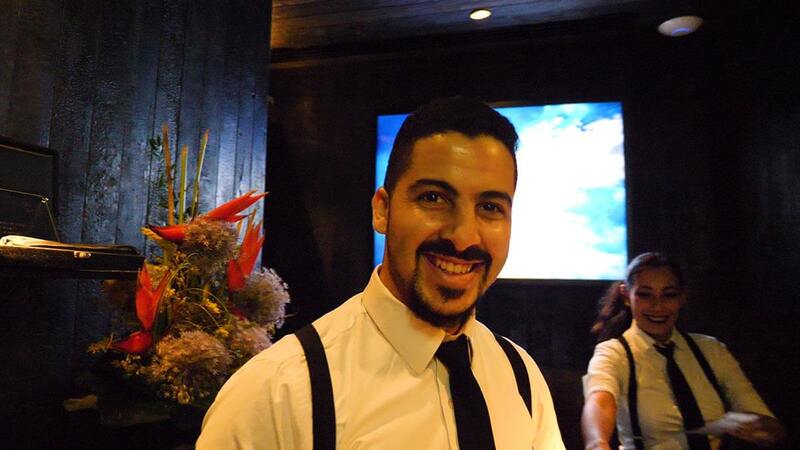 Vicky is the man to speak to whose knowledge on the drinks is exceptional. 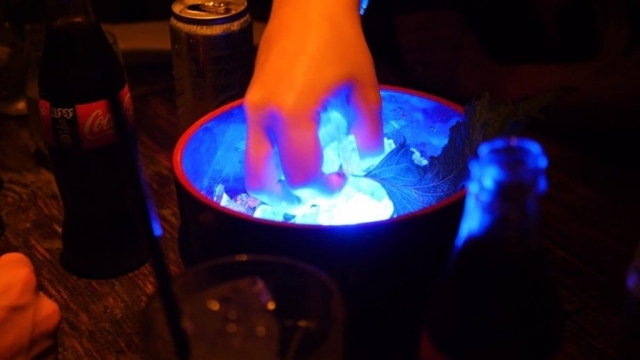 The drinks itself were presented beautifully with lit up ice! He even brought some in my favorite color, pink! I learned many things about sake that night – firstly you can drink it cold! And you can also find some that taste as sweet as plum juice. Ramusake is a very edgy restaurant with stunning views overlooking the Dubai Eye which is currently under construction. Unfortunately the terrace area was not an option in the sweltering August heat so we sat inside. The design of the interior is inspired from the 1920s ‘Show Era’ Tokyo combined with a ‘Blade Runner-esque’ futuristic twist. The aged concrete floors, charred timber, paper lanterns and cool artwork gives the place a cool and vibe. You can easily forget you’re in Dubai and that is a sign of a restaurant well-designed. We chose to sit in one of the cool looking booths which are great for big groups. We were only four but we could sometimes be as noisy as a herd of laughing hyenas when having a good time; the privacy was welcomed. An authentic Japanese restaurant that will transport you to Tokyo in a flash! Love the décor and the terrace overlooking the Dubai Eye! The food is amazing – the sake even better. This restaurant is on par with all the high-end places you see in DIFC and definitely worth a trip to the Marina area. As they say in the ‘Terminator’ – I’ll be back!